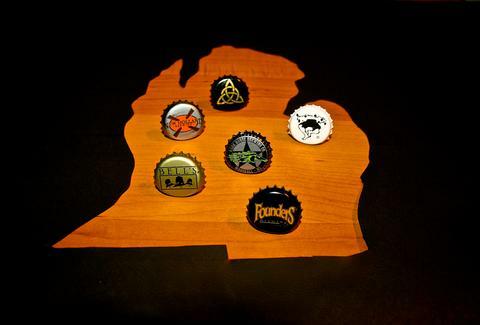 It's no secret that Michigan makes some of the most essential beers in America, and therefore, the world. Anyone can see that. But figuring out which of the state's many fine brewing outfits stands tallest? That's a task for SCIENCE! 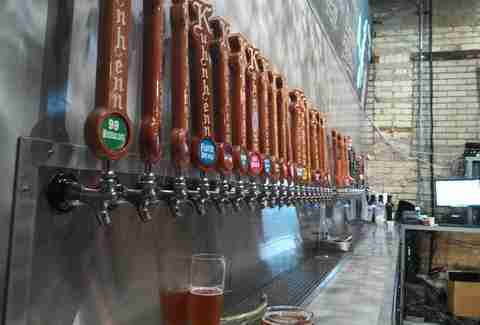 The Thrillist Beer Appreciation Team (TBAT for short) developed a top-secret, patent-pending formula for ranking breweries (actually it's not that secret, get the details below). Weighing such factors as performances on RateBeer and Beer Advocate, beer competition medals, and other accolades, the formula declared this delicious dozen to be the finest breweries in all of Michigan. They say that right-brained thinkers are the creative, artistic types, and Russell Springsteen’s right-braininess eventually inspired him to start one of the most distinctive, colorful, and energetic breweries in the state. 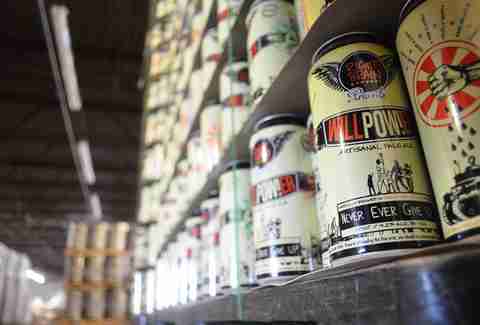 Aside from their zany labels and cans, Right Brain’s eclectic brews stand out on taste alone. From their pie-inspired series (apple, blueberry, cherry, pecan) to their beet saison named Schrute Farms, Right Brain's combination of flavor and innovation has proven tough to... (sigh) beet. 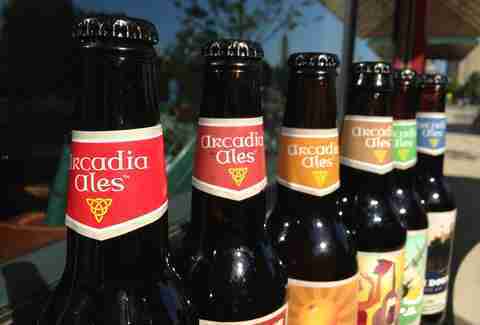 The Arcadia Brewing Company specializes in handcrafted British-style ales, staying downright committed to the whole Brit thing. Founder and president Tim Surprise took his passion for English ale, combined it with the local Michigan craft brew mentality, and began making beer with UK ingredients on traditional British beer-making equipment. The result? Medium-bodied English ales, delicious extra special bitters, and a whole slew of beers to pair with fish and chips. 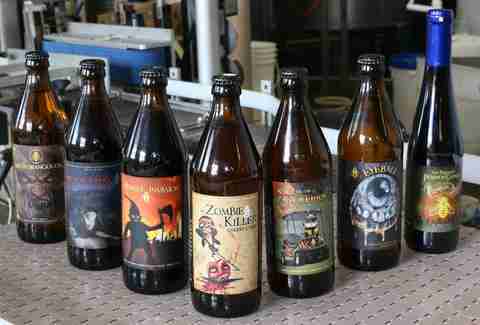 B. Nektar got up and running after husband and wife Brad and Kerri Dahlhofer both got laid off. Out of the ensuing frustration and downtime came mead, and not just any mead. Good mead. 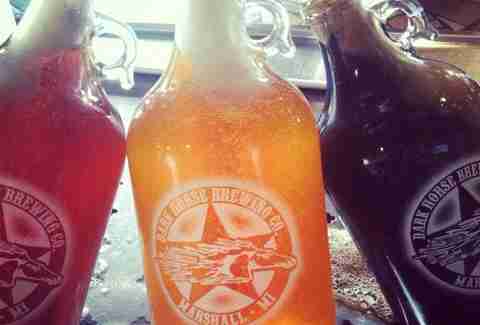 Award-winning Vanilla Cinnamon mead and Cherry Chipotle mead. So, as far as honey wine goes in the state of Michigan (and beyond), B. Nektar’s got some of the very best. And yes, we realize some might argue that mead isn't beer, per se, but some beer sites do rate it, and who are we to penalize them for making damn fine mead? Right smack in the middle of Downtown Detroit, the Detroit Beer Co. has made a serious case for itself as the best brewery in the city. Their beers delight even the most particular of beer snobs, and they fill a much-needed desire for a craft brew pre- or post-Tigers/Lions game (especially Lions games). Their talents are recognized well beyond the Motor City, too, having taken home a gold and bronze from the Great American Beer Festival and a silver from the World Beer Cup. Short’s was started by 22yr-old Joe Short, who wanted to make creative beers on his own terms while simultaneously sporting a killer mustache. Lucky for him (and the rest of us) Mr. Short got his way and has since given us some of the state’s most beloved creatively flavored brews, like Bloody Beer, Soft Parade, Funkin’ Punkin, Key Lime Pie, Black Cherry Porter, Strawberry Short’s Cake… you get the idea. Short’s has a tight-knit community behind it, combined with a "power of smallness" mentality and a passion for the great outdoors. It's proven to be a delicious combination. Beneath the Dragonmead company crest there should be a word: variety. Or maybe they could spell it in German or Russian or English... but you know, like, Olde English. 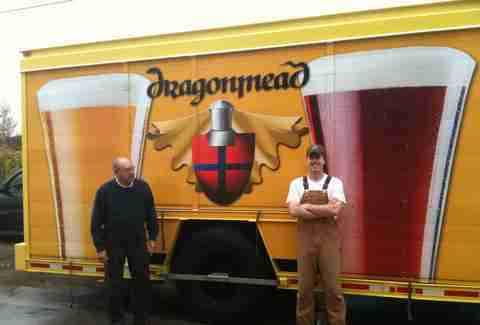 They brew just about everything at Dragonmead -- German lager, German ale, English ale, Scottish ale -- and they brew it well. Final Absolution is a World Beer Cup gold medalist, as is their English-style Crusader Dark Mild Ale. 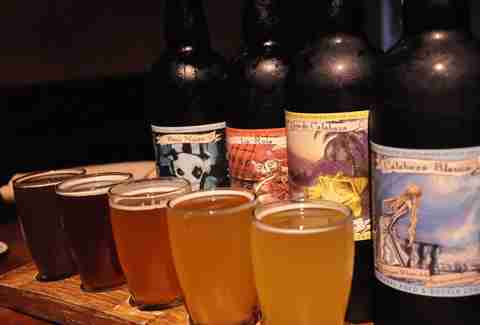 Jolly Pumpkin is all about those rustic, country style, sour beers, and if the whole sour thing seems off-putting to you, don’t worry about it. Most folks who think they don’t like sour beer wind up liking Jolly Pumpkin’s sour beer, so much so that their facilities last year maxed out at around 4-5,000 barrels. And although this is a beer list, you should also eat their food. Trust us. The folks at New Holland consider themselves artists, and after you try a stout like The Poet or an ale like El Mole Ocho, we dare you to challenge them. New Holland has an entire palette (get it?) of creative flavors and they pack them into a damn fine range of beers. They’re creative, enjoyable, and well… Dragon’s Milk. Just, Dragon’s Milk. All you need to know about Dark Horse: once upon a time, Nickelback made a music video and asked Dark Horse if they’d like to be featured in it -- the band even offered them a sizable amount of money. Long story short, Dark Horse declined, not because of money or legal issues, but because no one at the brewery liked the band. As owner Aaron Morse put it, "[Nickeback] is rock and roll that doesn’t deserve to be on the radio." Dark Horse does things their way, and thankfully their way results in balanced IPAs, mild fruit beers, and one deliciously sweet Scotch ale. 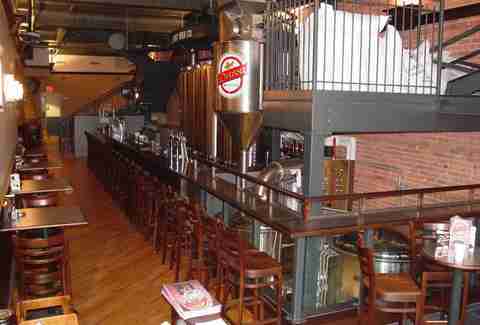 For years, Kuhnhenn has been the small Warren brewery with the big awards. This year, that’s about to change. The winners of two gold medals from the World Beer Cup, and a gold, silver, and bronze from the Great American Beer Festival are scheduled to open a new facility in Clinton Township this month, complete with a new tasting room, an outdoor beer garden, and (hopefully!) more Kuhnhenn in stores. Back in the '80s, Larry Bell started homebrewing beer in a 15-gallon soup kettle. Now, his company sells beers in 19 states, Washington DC, and Puerto Rico -- several of which (i.e. 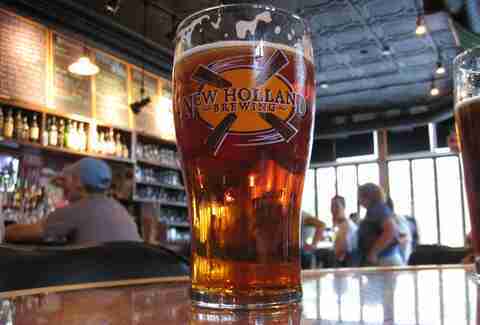 Two Hearted Ale, Hopslam) consistently earn top spots on global and national best beer lists. Another thing it has going for it? 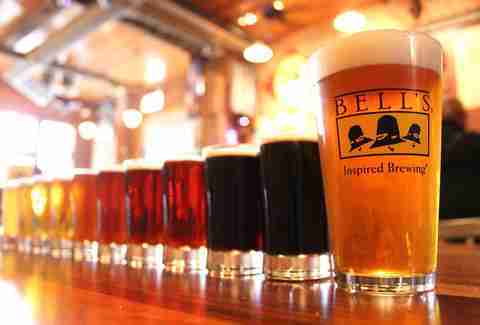 Despite Bell’s being a major pioneer in the MI craft brew scene and becoming the biggest brewer in the state, it’s never gotten too big for its britches (even with all that beer!). 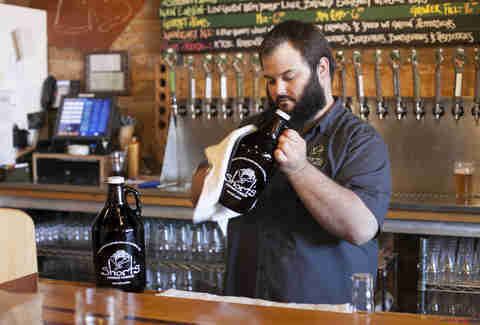 They still offer home brewing demos and sell home brewing supplies… all while running two production sites, a café, and an 80-acre farm. 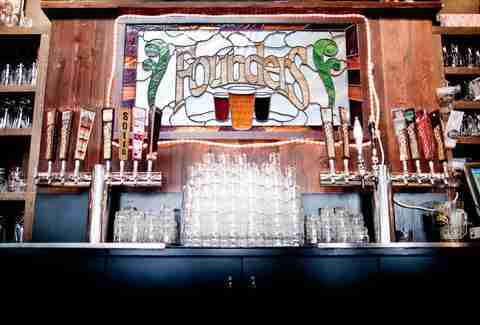 In the beginning, there almost was no Founders. The brewery that tops our list was on the verge of bankruptcy in its early years until they decided that instead of catering to popular taste, they would brew "complex, in-your-face ales, with huge aromatics, bigger body, and tons of flavor," and if folks didn’t like it, so what? They did, and the decision has paid off handsomely with a bunch of accolades, not the least of which is snagging the top spot in this list by a substantial margin. Prominent outlets have published Best Breweries in America lists of different lengths, so we awarded 10 points for a top-10 finish, 9 points for an 11-20 finish, and so forth (no list is longer than 100) for appearances on recent best brewery lists from RateBeer, Paste, and The Daily Meal.